The PD-815R series rackmount power distribution units are equipped with 8 rear outlets and feature a front light for on/off indication. Standard equipment includes surge and spike protection, EMI filtering and a 9' cord. A generous 9" depth provides easy access to the 15 Amp rear panel outlets which are solidly mounted on yokes to eliminate deflection. Available with a flat black powder coat or aesthetically pleasing black brushed and anodized or silver brushed and anodized face, occupies one rackspace. The PD-915R rackmount power distribution unit is equipped with 8 rear outlets and one front outlet. Standard equipment includes surge and spike protection, EMI filtering, and a 9' cord. A generous 9" depth provides easy access to the 15 Amp rear panel outlets which are solidly mounted on yokes to eliminate deflection. An illuminated combination power switch/circuit breaker is located on the front panel. Finished in a durable black powder coat and occupies one rackspace. The PD-915RV-RN rackmount power distribution unit with remote notification for surge suppression status is equipped with 8 rear outlets and one front outlet. Two front LED status is equipped with 8 rear outlets and one front outlet. Two front LED status indicators display the level of protection provided by the unit's 2 stage surge and spike suppression. The PD-915-RV-RN provides contact closure notification to any customer supplied monitoring device when surge protection has been completely compromised. The 9" depth provides easy access to the 15 AMP rear outlets, which have been spaced to accommodate plug-in powers supplies. Clean ground surge suppressor design will not pass noise contamination to ground. Two USB ports on the rear panel and one on front accommodate LT-GN gooseneck LED light for additional illumination of rack. This unit features a 9' cord and an illuminated combination power switch/circuit breaker. Finished in a durable black powder coat occupies one rackspace. 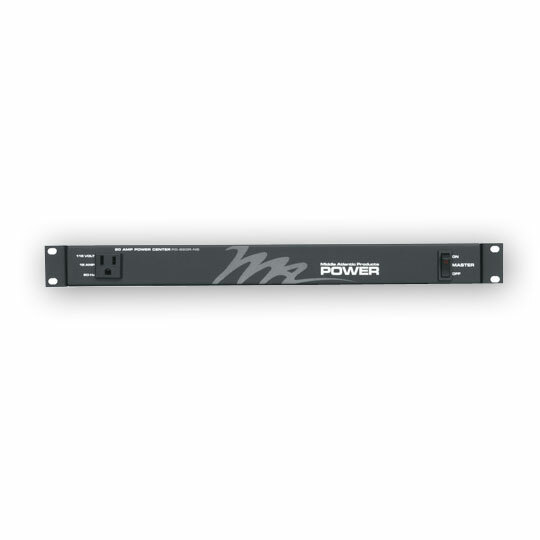 The PD-920R-NS rackmount 20 Amp power distribution unit is equipped with 8 circuit breaker protected rear outlets (NEMA 5-20R), and one 15 Amp front outlet (NEMA 5-15R). The generous 9" depth provides easy access to the yoke mounted rear outlets, while the extra-long 9' AC cord with NEMA 5-20P plug eliminates the need for an additional extension cord. An illuminated power switch is located on the front panel, and a 20 Amp circuit breaker is located in the rear. Finished in a durable black powder coat and occupies one rackspace. 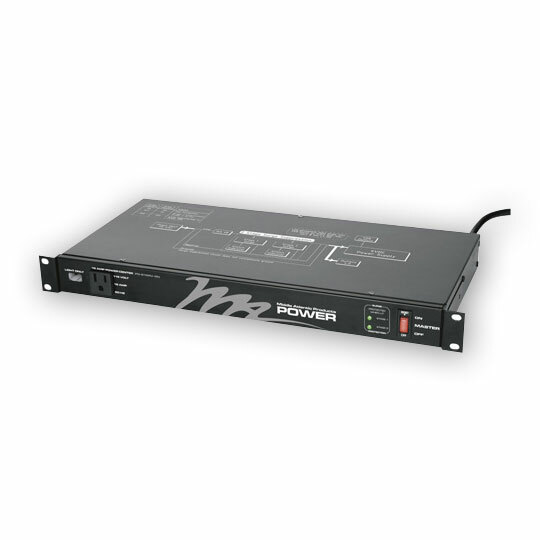 The Designer Inspired PDLT-815RV series rackmount power distribution unit with retractable light are equipped with 8 circuit breaker protected rear outlets. Unit features surge and spike protection and EMI filtering. Clean ground surge suppressor design will not pass noise contamination to ground. 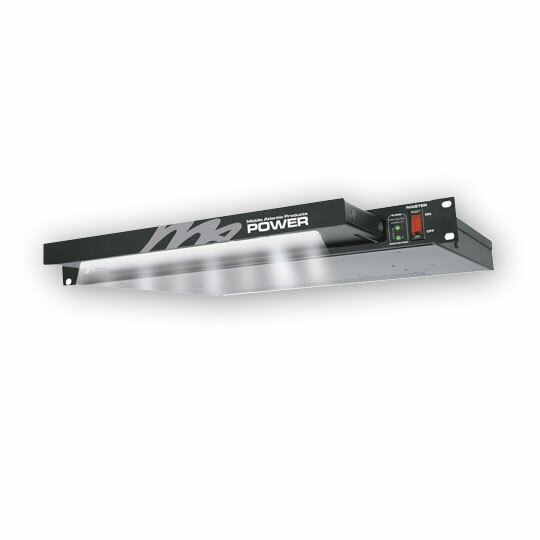 Dimmable LED bar illuminates automatically when opened for easy component viewing. Generous 13 1/2" depth provides easy access to the vertically oriented, 15 Amp rear outlets, which have been spaced to accommodate plug-in power supplies, while the extra-long 9' cord eliminates the need for an additional extension cord. Two USB ports on the rear panel accommodate the LT-GN gooseneck LED light for additional illumination of connections in the rear of the rack. Features a visually pleasing black brushed and anodized or silver brushed and anodized design and dimmable logo with hidden dimmer switches. Occupies one rackspace. 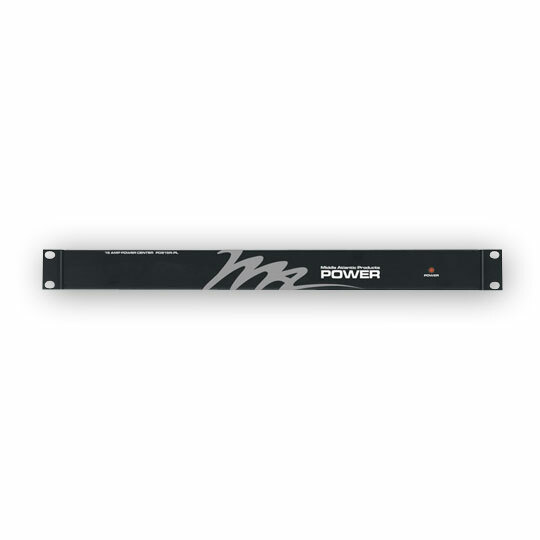 The PDS series sequencing 15 and 20 Amp power distribution units provide 6-step sequencing to 6 rear outlets in single or dual circuit configurations. 2-circuit, 15 Amp sequencing unit provides a total of 30 Amps of power in a single unit. Adjustable start time delay allows daisy-chaining of up to any (3) PDS units to act as a single 18 step unit. Sequencing are facilitated via front controls while all sequencing activity is monitored by front LED indicators. Additionally, a remote up/down sequencing connection block is located on the rear panel to facilitate remote control for use with customer provide single pole, double throw, center off, momentary switch. The generous 9" depth provides easy access to the yoke mounted rear outlets while the extra-long 9' cord eliminates the need for an additional extension cord. Finished in a durable black powder coat and occupies one rackspace.